Ina Garten's recipe featuring Mecox Bay Dairy Atlantic Mist. "Aristocrat" is defined as "anything regarded as the best, most elegant, or most stylish of its kind." 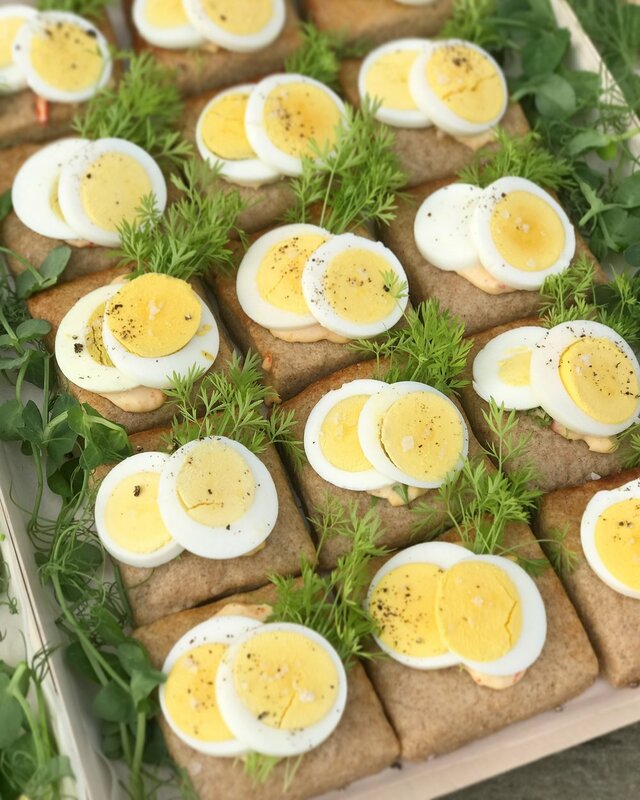 In keeping with its name, local caterer Hamptons Aristocrat designs elegant and stylish recipes using the best local ingredients. Spread this delightful condiment, made with Farmhouse Cheddar cheese, on everything you make this summer! Another delicious Mac N Cheese featuring Mecox Sigit and Farmhouse Cheddar, this time from the Luxury Lifestyle Diary of the Hamptons, KD Hamptons. Laurent Tourondel's Mecox Sunrise "Tricorne"
A decadent pastry by Laurent Tourondel featuring Mecox Sunrise. From chef Jonathan Parker of the famed American Hotel comes a sweet & savory delight topped with our Shawondasee cheese. A comforting classic, this French Onion Soup by Browder's Birds adds a local flair with their own organic chicken stock, Carissa's Breads sourdough, and Mecox Bay Dairy's Mecox Sigit. The Spruce blog's take on a grown-up grilled cheese, made with Farmhouse Cheddar.